Clarins Cleansing Milk With Alpine Herbs (Normal or Dry Skin) is a daily-use cleanser designed for dry-to-normal skin types, leaving the skin feeling fresh and comfortable. It naturally sets the stage for a healthy, beautiful complexion. 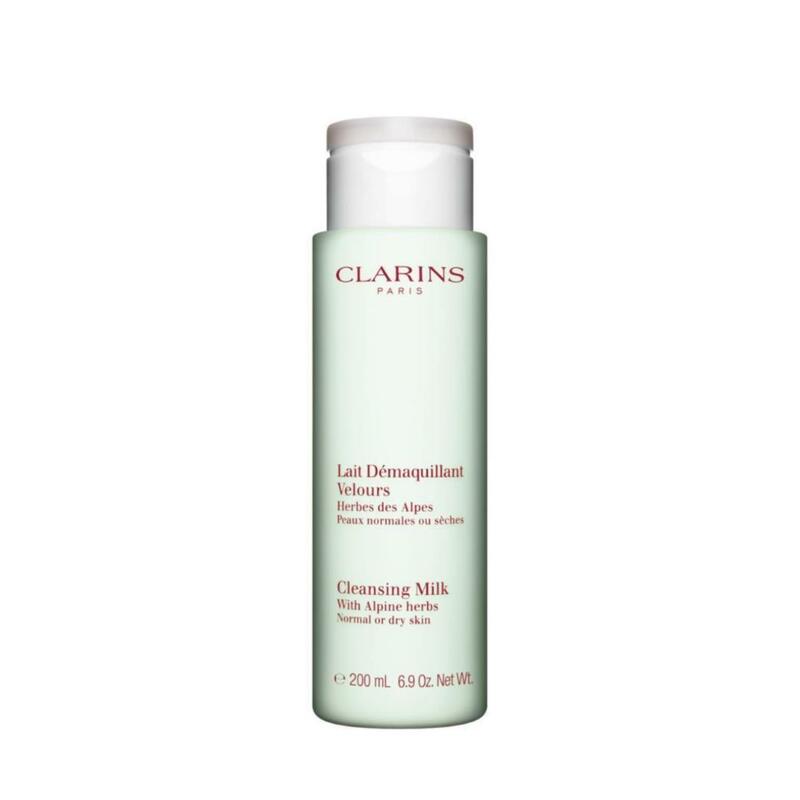 Formulated from a blend of softening and toning plant extracts, this milky lotion cleanser maintains your skin's balance during cleansing while gently smoothing away makeup and impurities. To be used morning and night, this cleanser will keep your skin looking more natural and silky smooth. Radiant looking skin begins here.